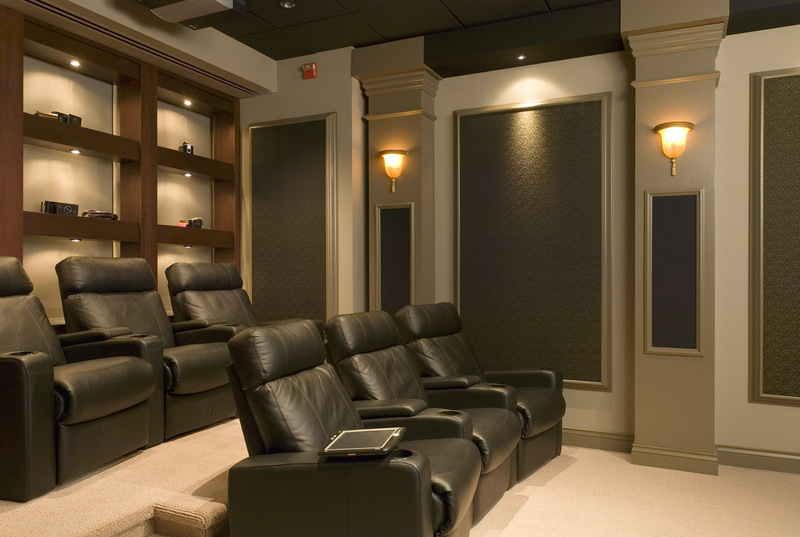 Blackout Shades Home Theater Blackout shades provide the utmost light blockage to make movie viewing in your home theater even more enjoyable than going out to the cinema. These blackout shades have been matched to accent the uber-comfy recliners for added style and flow. If desired, remote controlled shades can be customized for maximum luxury. 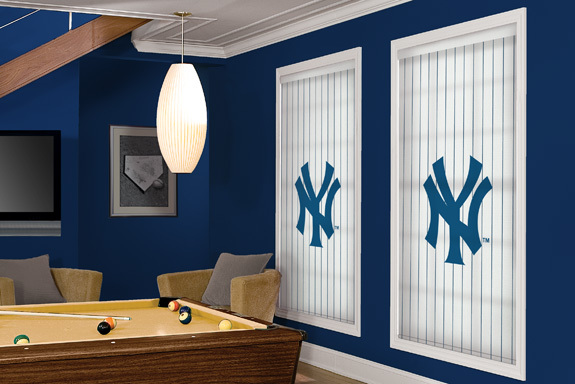 Roller Shades Media Room These roller shades, featuring streamlined appearance and clean lines, are the perfect addition to any media room, be it the home or office. Darken the room entirely for movies and presentations, or open them wide and let the sun shine in. These particular shades have been embellished with an all-time favorite team logo.